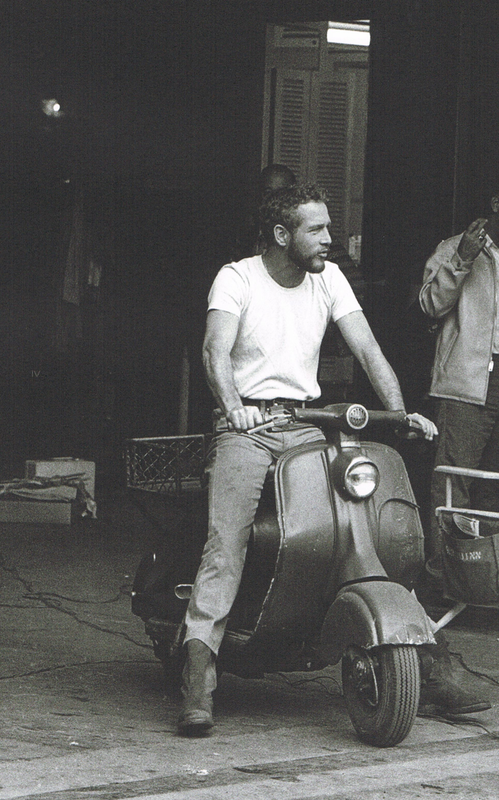 Who’s the coolest Paul Newman, or Steve McQueen? It’s a tough call. I’d have always just about come down on the side of Mr McQueen, despite Mr Newman’s salad dressing, Cool Hand Luke, and his rendition of Plastic Jesus (check it out here if you haven’t heard it yet). But this is the final bit of evidence that swings it for Newman. And, until I see photographic evidence of McQueen on a Lammie, it’s definative. Paul Newman is the coolest. End of. This entry was posted in Ephemera, Lambretta Imagery and tagged cool, Coolhand Luke, Famous, Hollywood, LC, LD, Paul Newman, Plastic Jesus, Steve McQueen by crocodilejock. Bookmark the permalink.